On Saturday, August 1, 2010, more than 25,000 runners, walkers and spectators will celebrate the second annual Rock ‘n’ Roll Chicago Half Marathon benefiting the American Cancer Society, to the sounds of Five For Fighting. The post race concert will take place at the finish line festival at Grant Park, directly following the race. For years, John Ondrasik , of Five for Fighing, has been making a name for himself as an evocative and emotional storyteller. 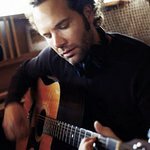 With hits like “100 years” and “Superman,” Five for Fighting connects with audiences unlike many other acts of this generation. The name Five for Fighting comes from the term used for the five minute penalty for fighting in hockey,“I’ve always appreciated the grace and toughness of hockey. It’s one of the few occupations as bruising as the music business”, said Ondrasik, in the aftermath of the Chicago Blackhawks Stanley Cup Victory. The post-race concert at the finish line will feature an opening act, Hello Dave , taking the stage from 7:30 am – 9:45 am. Awards will be handed out at 10:00 am followed by Five for Fighting, who will play from 10:30 am until noon. The post-race concert is free and open to the public. The excitement for Chicago’s second mashup of music and running continues to grow as the race has reached its capacity of 25,000 entrants. Even though the race has sold out, limited entries are still available through the event’s charity partner, the American Cancer Society. By joining the American Cancer Society’s DetermiNation program, runners and walkers can dedicate their training and participation in the event to the fight against cancer. Members of the DetermiNation endurance program receive special benefits leading up to and the day of the Rock ‘n’ Roll Chicago Half Marathon, including free team training, elite race-weekend VIP amenities, invitations to exclusive social events and online tools needed to make achieving fundraising goals easy and fun. “DetermiNation runners and walkers who participate in the Rock ‘n’ Roll Chicago Half Marathon will not only benefit from a great training and team-building program, they also will be helping to raise critically needed funds so that the American Cancer Society can continue to expand cancer research and support those facing cancer,” said American Cancer Society DetermiNation Co-Chair Ed Dragomer. For more information about the event, along with a full biography and photos for Five for Fighting, please visit chicago.competitor.com. For more information about how to join the growing DetermiNation team, please call 312-279-7243 or visit acsDetermiNation.org.